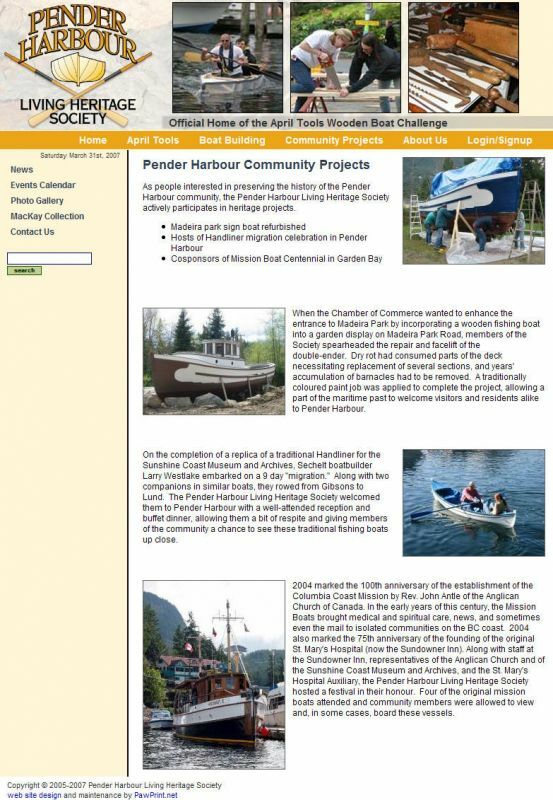 The Pender Harbour Living Heritage Society, a registered charity, is fascinated About Pender Harbour´s past and determined to share that enthusiasm with the community. 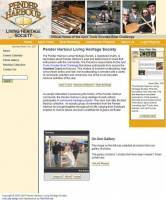 They needed a web site to help share the word and to promote the April Tools Wooden Boat Challenge. I already knew a couple of the members of the society both from other projects and through the Coast Guard Auxiliary and perhaps that´s why they came to me for the site. 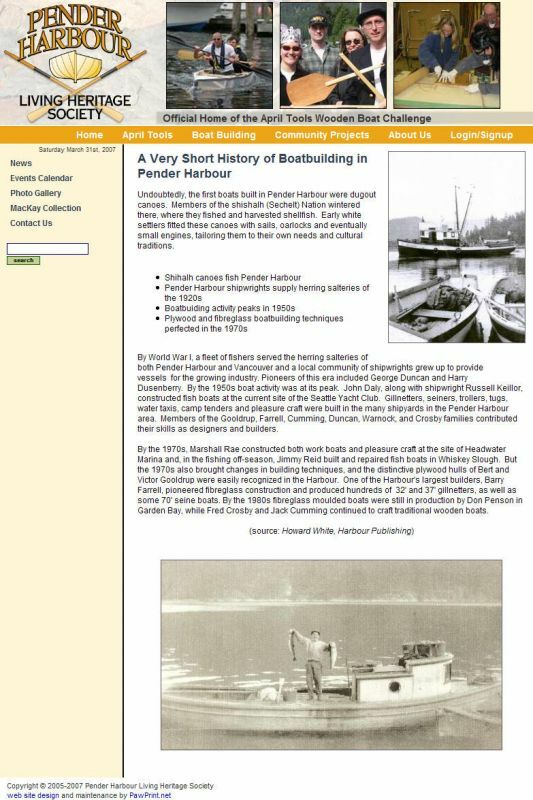 It´s always easy to build a web site when you know and love the subject matter - In this case, wooden boats and maritime heritage, it was a shoe-in! 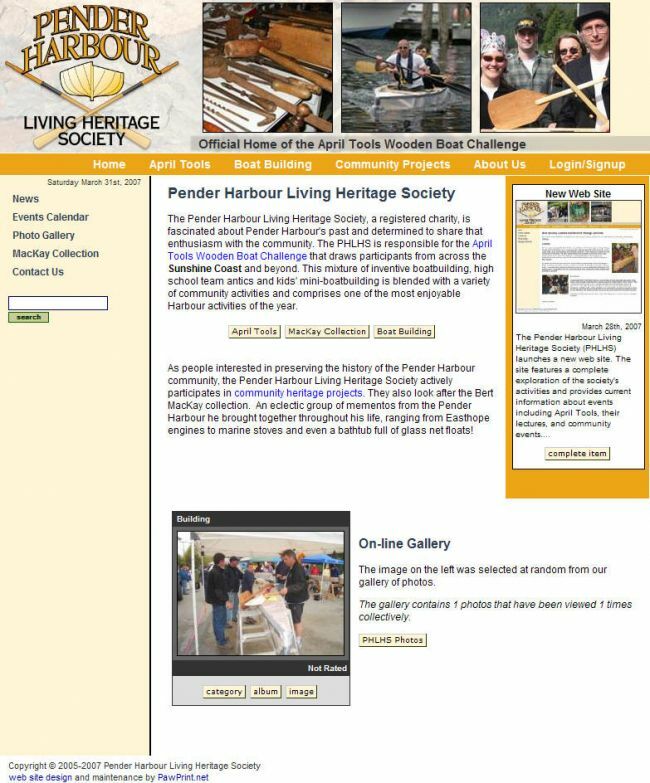 The new web site http://www.maritimeheritage.ca went live yesterday and is still getting some new content loaded, but already provides a good bit of background on the society, area, and their community events.